For the past few days i have been getting request to make available the blackberry version of 2go mobile messenger on this blog. Some users of the Blackberry mobile phones who think they are missing out in live chat via the 2go mobile messenger are apparently on my neck. Well, considering the uniqueness of the 2go mobile messenger, one can not stop getting such an app for there phones, more especially when thoughts of engaging in meaningful conversation erupts. In as much as i won't like to take too long in moving around this application for the sole purpose of getting the download link for you, i will advise you always seek to download the real version from the official website. 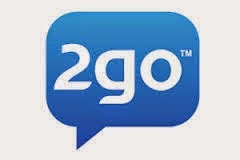 To download 2go mobile messenger for your blackberry mobile phone, simply search for the app via the blackberry App world or go to the official website at www.2go.im to download the exact version of your blackberry phone. A new version of 2go mobile messenger is out already, so you can check out the full details of this particular version by downloading it for communication purpose. Do not forget to share this information to the rest of your friends. Let them know how you did it yourself. Easy tutorial to download 2go for blackberry.